Beautiful solid Celtic Cross. Substantial dimensions make this a great choice for a man’s pendant. 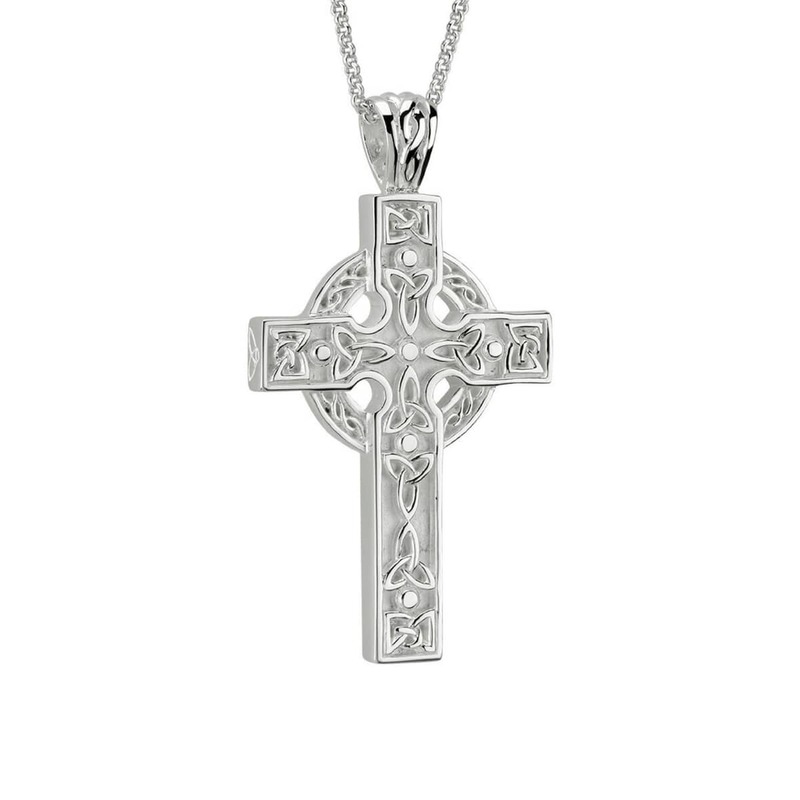 3mm thick, 18mm wide hand 33mm high (including bale), this heavy Celtic cross is perfect to be worn by a man. Handcrafted in Dublin and hallmarked at the Irish Assay Office in Dublin Castle. Fitted with an 18 inch sterling silver chain. Free shipping and 30-day money back guarantee on all purchases.